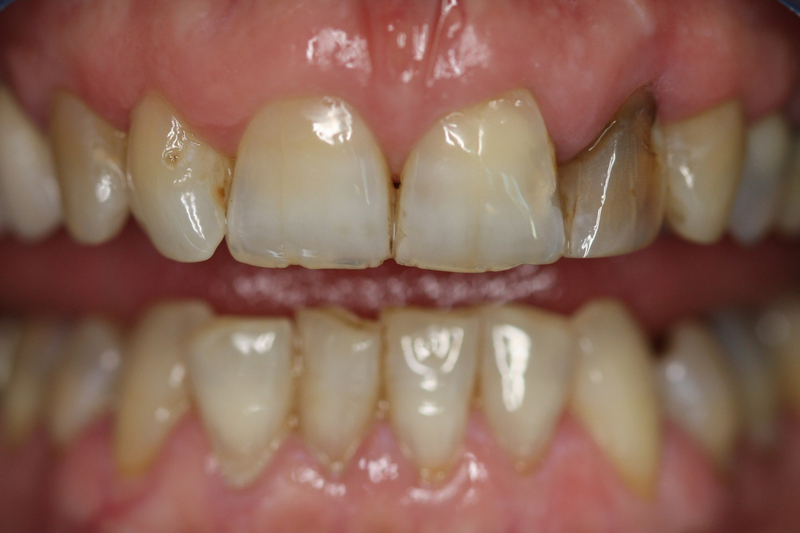 The Family Dental Practice provides crown, bridge and implant work that focuses on function and high aesthetics. 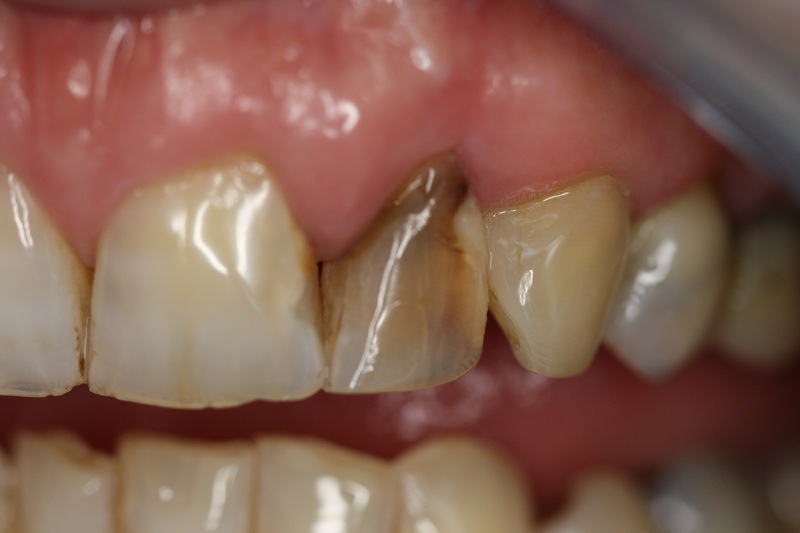 We pride ourselves on restorative work that looks natural and blends seamlessly with your existing teeth. 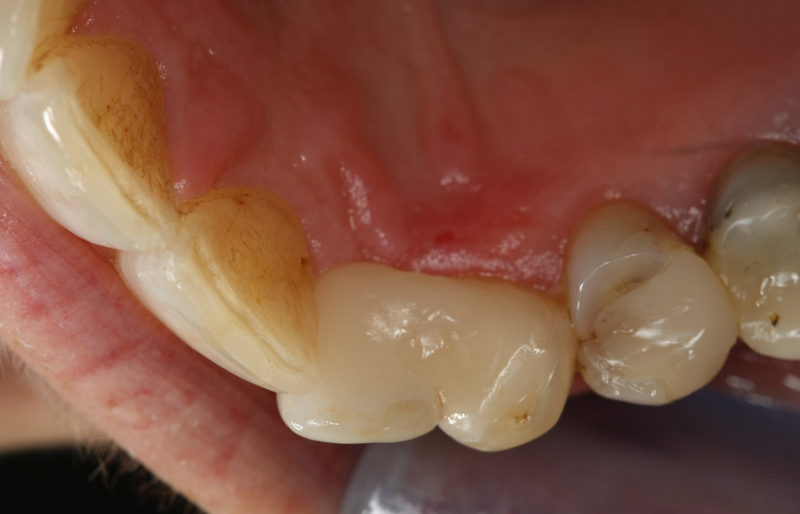 We utilise 3D Scanning and use the highest-quality dental laboratories to help us create healthy and natural looking crowns and bridges to restore and improve your smile. We only use Australian based local technicians and ceramists to ensure that all our restorations meet safety standards set out by Australian Therapeutic Goods Administration. 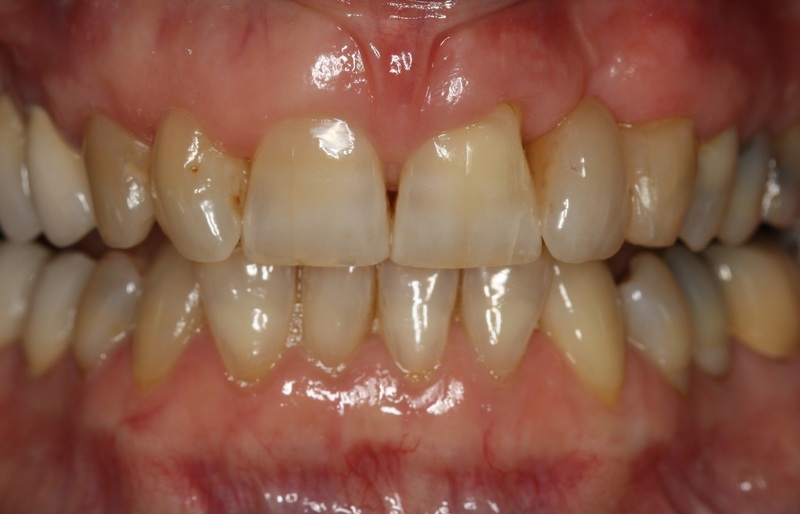 Before: the patient had poorly made crown and bridge work. 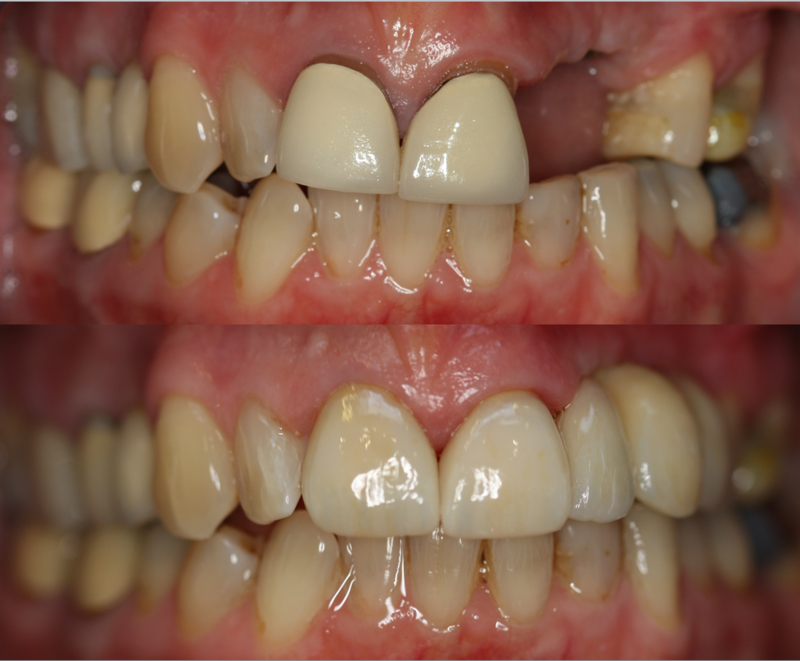 The bridge was removed and implants were placed. 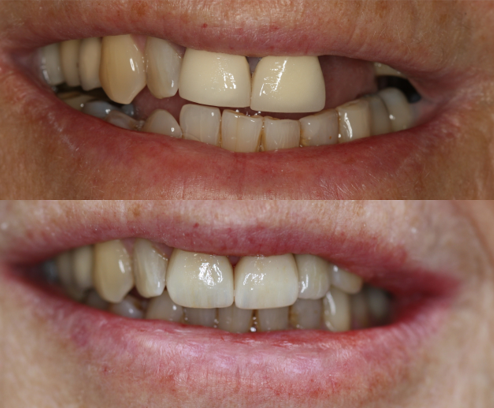 During treatment the patient wore a temporary partial denture to fill the gap in the teeth and keep her smile looking complete whilst the implants healed. After: Completed crown and bridge work.